The "Aasnes", en route from Bremen to Dublin, with a crew of nine on board, suffered a problem with the fuel pump in position 50 20.4780N, 01 38.5690W, 19 miles southeast of St Albans Head on Apr 7, 2018. The vessel was loaded with a cargo of slag.. The fuel pump was replaced and the repairs were completed. The vessel then resumed sailing. On Nov 24, 2017, a pilot who was boarding the "Aasnes" from the pilot tender "Explorer" in the Elbe Port Brunsbüttel fell from the pilot's ladder back onto the tender boat and further down two meters onto its main deck. He had to be treated in hospital. Broken ropes of the ladder were responsible for the accident according to the victim. The ship could not be investigated by the police in Brunsbüttel as it was meanwhile in international waters. 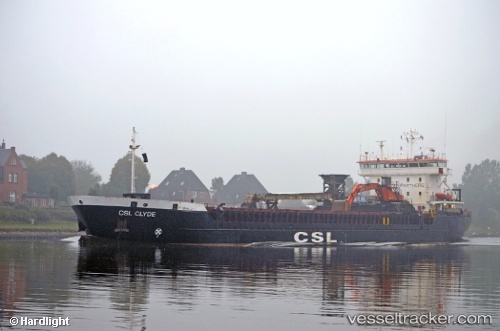 The ship had left Brunsbüttel at 11 p.m. bound for Ijmuiden before proceeding to Purfleet, ETA Nov 28.